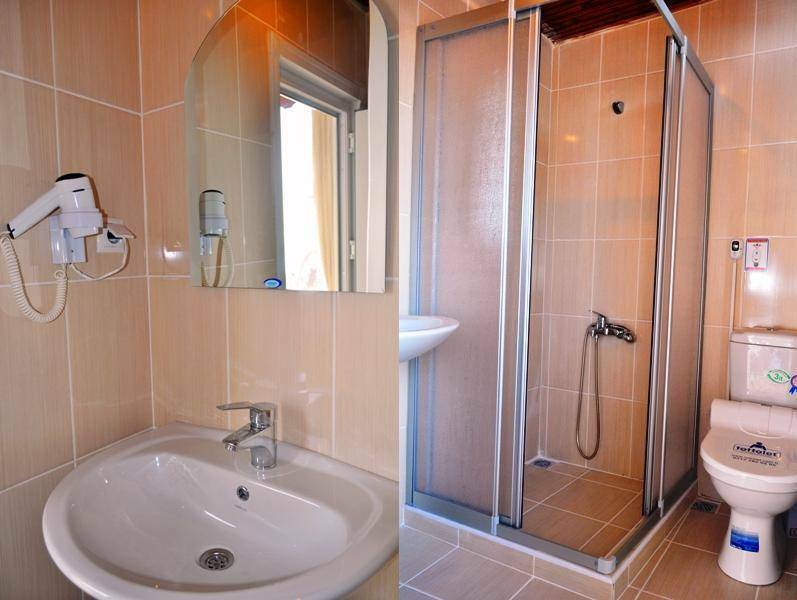 All rooms renovated in November 2014! Antique Hostel Istanbul greets all guests and visitors, regardless of age, gender and social status. Antique Hostel Istanbul is located in the heart of Sultanahmet in the Old City, We are only a few minutes away from the Blue Mosque, St. Sophia, Topkapi Palace, Underground Cistern, Turkish Baths, Grand Bazaar and many other sightseeing attractions of oriental Istanbul. Private Guest Rooms (Single, Double, Twin, Triple) are quite comfortable, newly-renovated, fully-tiled private bathrooms, wi-fi, Tv, non-smoking, central heating, 24 hours hot water, air-conditioned, electronic safe-deposit box, iron and hair dryer! 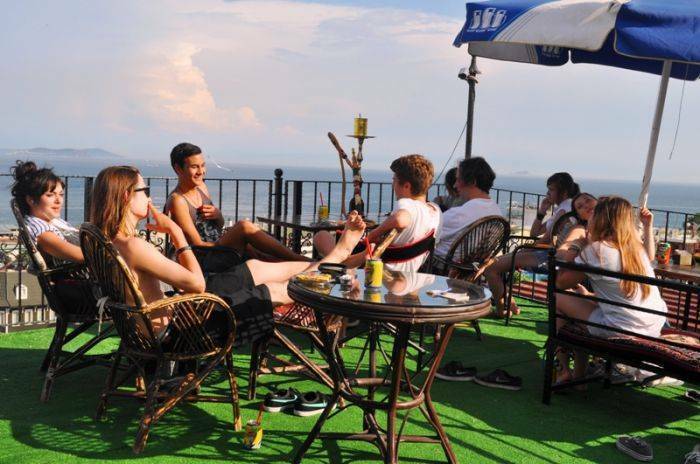 Dormitory Rooms 4 or 6 bed mixed rooms with shared bathroom are located in basement, 6 bed dorm en-suite is at lobby floor, sea view 4 bed room en-suite is at top floor. 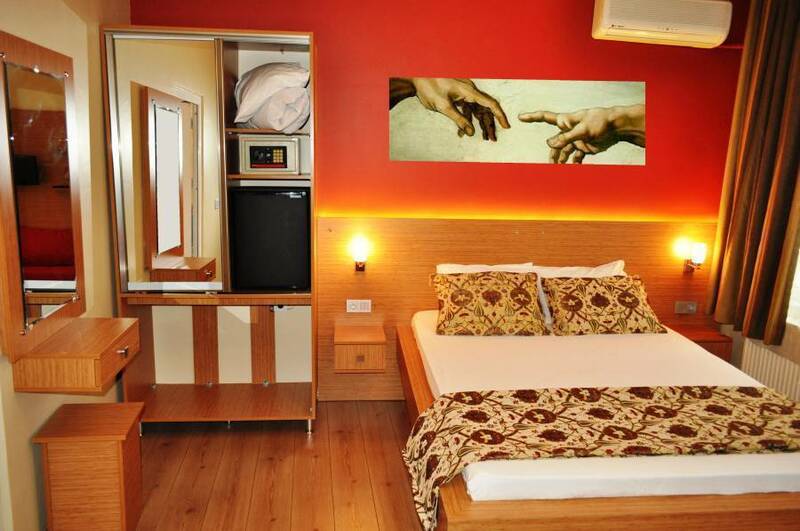 All rooms have air-condition, each bed has a console with a plug and a reading light . All private and shared bathrooms are equipped with hair dryers, anti-bacterial foam dispensers, automatic air fresheners. Linen and towels are included.. Always clean and hygienic. FREE BREAKFAST Including white cheese, eggs, butter, jams, chocolate spread, cucumber, tomato, green and black olives, dried fruits, seasonal fruits, greens, potato salad, special pastries, french toast, french fries, corn flakes, musli, chocolate cereal, Turkish tea, apple tea, orange tea, filter coffee, milk and breads. Sea view at breakfast is bonus. Ofcourse possible pick up service from Ataturk Istanbul airport (30€) one way. From Sabiha Gokcen airport (60€) one way. Please inform us for your flight details in advance. 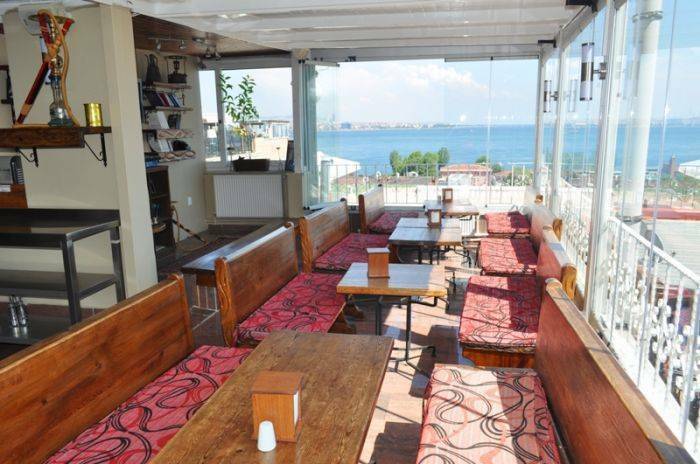 The enclosed, recently renovated and upgraded Rooftop Cafe has spectacular views of the Bosphorus, Sea of Marmara, Asian Continent, Princes' Islands. Check-in 13. 00 Check-out 10:30. Hostel is protected by CCTV security cameras at all common places for 7/24. Cancellations should be made at least 72 hours before, otherwise one night is charged to credit card. You will feel at home with us! Antique Hostel is in the middle of the historical old city and sightseeing is very easy here because Saint Sophia, Blue Mosque and Topkapi Palace are just 3 minutes away by feet. If you like party then you should go to the new part of Istanbul is Taksim and it is just 30 minutes away by metro. Kadıkoy is the centre of Asian part of city and it is also 30 minutes away by tram and ferry. Cancellations should be made at least 3 days before, otherwise one night will be charged by credit card. Don't be misled by offers of alternative accommodation- there are many people working on commission... who can take you to unpleasant accommodation! The distance between the Ataturk Istanbul airport and Antique HoSTeL - Guesthouse is 18 km. The best and cheapest way to get to the HoSTeL-Guesthouse is to take the light metro from the airport. From the Airport or the Bus Station (Otogar), take the Metro to ''AKSARAY'. As you leave the Metro Station, go through the underground passage and straight onto the pedestrian walkway, then walk over a bridge and down the steps to reach the 'YUSUF PASA' Tram Stop. Transfer onto the tram and get off at 'SULTANAHMET'' (the 5th stop).